Many believe that Sanchin Kata holds the key to mastering traditional martial arts. Those who understand its teachings find that it facilitates enormous quickness and power in any martial application. The challenge lies in gaining that understanding. Learn the essential karate sequence that is the root of all karate power from world-class karate sensei Kris Wilder. 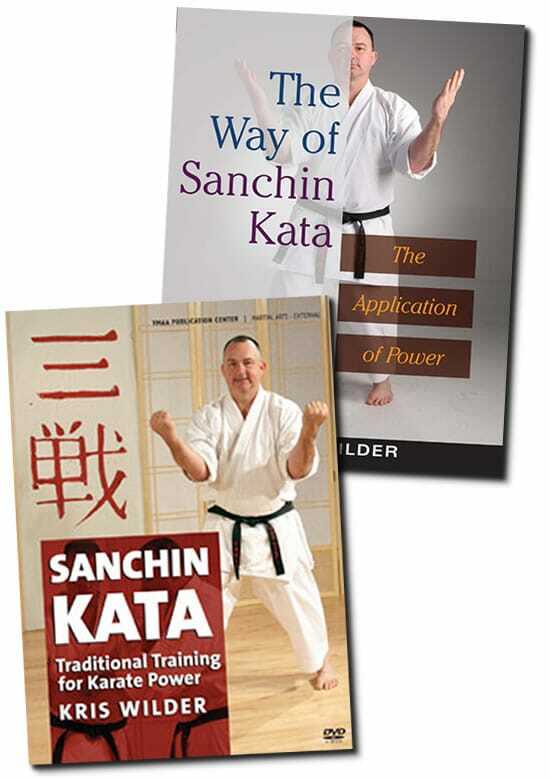 Many practitioners believe that Sanchin Kata holds the key to mastering traditional martial arts. It is one of the simplest forms to learn, yet one of the most difficult to perfect. Those who truly understand its teachings find that it facilitates enormous quickness and power in any martial application. The challenge lies in gaining that understanding, which is something we had to uncover ourselves by trial and error… until now. When Karate or "Ti" was first developed in Okinawa, it was about using technique and extraordinary power to end a fight instantly. These old ways of generating remarkable power are still accessible, but they are purposefully hidden in Sanchin Kata for the truly dedicated to find. This book takes you to new depths of practice by breaking down the form piece by piece, body part by body part, so that the very foundation of the kata is revealed. Test it. Every chapter, concept, and application is accompanied by a test it section, designed for you to explore and verify the kata for yourself. Sanchin Kata really comes alive when you can feel the thrill of having those hidden teachings speak to you through your body across the ages. No other document or video available today provides such depth and exploration of Sanchin Kata. Simply put: once you read this book and test what you have learned, your Karate will never be the same. The Sanchin Kata, or 'Three Battles Sequence', is an ancient form that can be traced back to the roots of karate. Sanchin Kata is known to develop extraordinary quickness and generate remarkable power. This program breaks down the form piece by piece, body part by body part, so that the hidden details of the kata are revealed. Regular practice of Sanchin Kata conditions the body, trains correct alignment, and teaches the essential structure needed for generating power within all of your karate movements. Many karate practitioners believe that Sanchin Kata holds the key to mastering the traditional martial arts. Though it can be one of the simplest forms to learn, it is one of the most difficult to perfect. Goju-Ryu 5th-dan Kris Wilder offers in-depth exploration of Sanchin Kata, with detailed instruction of the essential posture, linking the spine, generating power, and demonstration of the complete Sanchin Kata. Simply put, your Karate will never be the same.